Camu Camu CapsulesCamu Camu CapsulesCamu Camu Capsules are the original wild, raw-source, natural vitamin C complex, providing the unique powers of handpicked wild Amazon River Camu Camu Vitamin C plus flavonoids. Scientific Research shows vitamin C absorption increases when combined with bioflavonoids. Vitamin C is needed for the structure of all cells in the body, especially the connective tissues. Being an antioxidant, it can reduce damage that free radicals, chemicals and pollutants cause to the body’s cells. Red Yeast Rice Extract CapsuleRed yeast rice Capsules are manufactured by culturing Monascus purpureus yeast on rice at carefully controlled temperature and growing conditions to increase the concentrations of chemicals that lower blood cholesterol and triglycerides. Numerous Scientific studies showed that Red yeast rice helps to support healthy cardiovascular system, maintain health cholesterol and triglyceride levels. promote relaxation and calmness. It is loaded with antioxidant polyphenols which has so many health enhancing properties. Wood betony Capsules is a HALAL & KOSHER certified product & produced under International GMP guidelines. nervous system, promote relaxation and calmness. It is loaded with antioxidant polyphenols which has so many health enhancing properties. Wood betony Capsules is a HALAL & KOSHER certified product & produced under International GMP guidelines. We have obtained Wood betony from remote areas of southern Mexico. It has been has been traditionally used to support the nervous system, promote relaxation and calmness. It is loaded with antioxidant polyphenols which has so many health enhancing properties. Wood betony Capsules is a HALAL & KOSHER certified product & produced under International GMP guidelines. Asmagon Capsules is very effective product first time launched in technical collaboration with Hawaiian Herbals, Hawaii USA. It is sourced from the highest-quality herbs and concentrated by 100% natural processes. Enriched with wonderful herbs Asmagon Capsules can help to prevent from recurrent respiratory problems. It can modulate immune response to allergens and arrest allergic manifestations, build resistance against respiratory pathogens, control chronic cough and help to prevent from asthmatic attacks. Get your life back, with Asmagon Capsules, all-natural formula can clear stuffy noses and help balance histamine production, so you can tackle all your tasks freely. 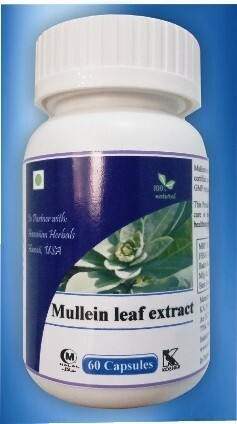 Hops Flower Extract Capsules is unique Ayurvedic preparation launched first time in India. Obtained from North America's Appalachian Mountains in its wild Hops Flowers have long been used traditionally for nervous system disorders. Numerous scientific studies suggest that Hops Flower can promote deep and restful sleep in those with occasional sleeplessness. By promoting a sense of calm and relaxation, Hops Flowers supports the body in falling asleep naturally. Tribulus terrestris has been used to enhance vitality and virility. Recent research indicates that Tribulus can support the body’s free radical defense systems and may help to promote healthy endocrine function and male reproductive health. It can help to boost natural production and increase muscle growth. , 6, 9 and even rare omega 7 and 11 fatty acids which is essential; to support overall health and wellness especially healthy heart and brain. Black Walnut Oil Softgel is introduced first time in technical collaboration with Hawaiian Herbals, Hawaii, USA. Our Walnut Oil obtained from Black wallet hulls grown in pollution free environment of Persia, Iran then oil is cold pressed and tested to obtain premium quality product. Numerous scientific studies suggest that Walnut oil is a good source of every omega fatty acids, omega 3, 6, 9 and even rare omega 7 and 11 fatty acids which is essential; to support overall health and wellness especially healthy heart and brain. Cardiac Care Capsules is launched to promote healthy cardiovascular functioning. Cardiac Care is a powerful nutrient combination that aids in protecting the body from the damaging effects of free radicals and provides cardiovascular support.